Lots of people were fed. As you sing, point to the two fish and five loaves of bread on their necklace. Main Point: Friends Put Others First! Lesson Overview: We traveled to the Spy City Bakery this past weekend with Agent O and saw two residents of Spy City, Robby and Derek fight over who would get the last cupcake at the bakery. But once they heard the Bible story about Abraham letting Lot chose land first, Derek decided to let Robby have the last cupcake! What was the main point? Friends Put Others First! How did Derek put Robby first at the Spy City Bakery? Derek let Robby have the last cupcake. What did Abraham let Lot do when he put him first? Choose the land he wanted to live on first. Say the verse out loud, and have your child repeat the verse after you. Each time you say the verse, use a different voice – silly voice, opera voice, underwater voice, loud voice, robot voice, squeaky voice, or princess voice. 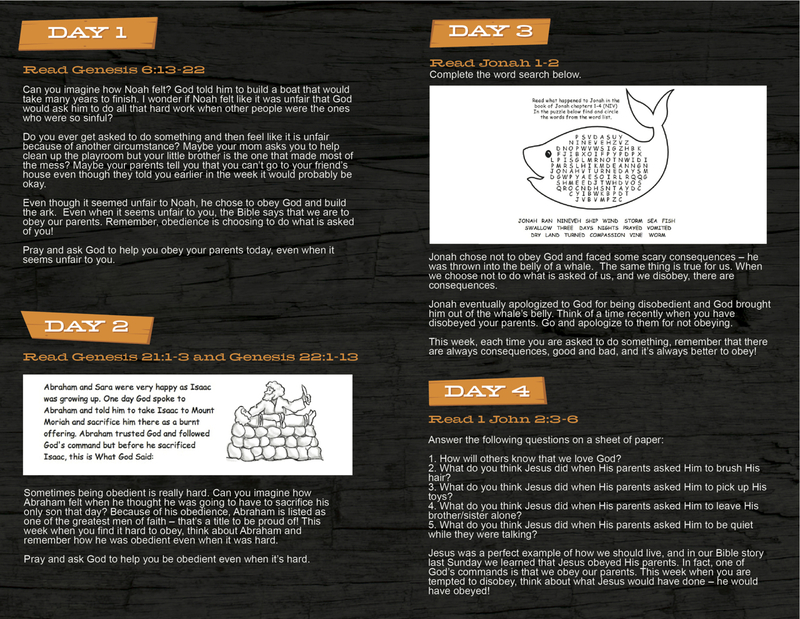 Lesson Overview: Jesus and his parents traveled to Jerusalem for the Feast of Passover. Mary and Joseph, their friends and family, left the Feast of Passover and spent a day walking back home. Mary and Joseph realize Jesus is not with them and return to look for him in Jerusalem, and searched for Jesus for 3 days. They went to the temple courts where they found Jesus. Jesus returned home and was obedient to Mary and Joseph. This week, encourage your child to use the GodTime card he or she received this weekend to learn about four people who obeyed God when it wasn’t easy.